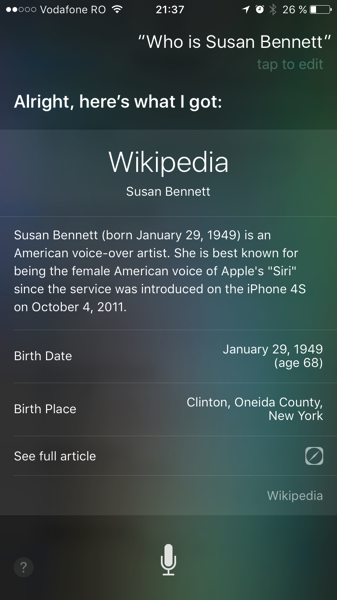 Three and a half years after first stepping into the spotlight when she revealed her identity as the voice of Siri, the virtual personal assistant built into iOS (and now macOS), Susan Bennett is back with other juicy details about the origins of Siri. 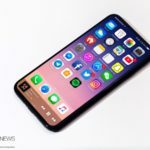 Susan Bennett sat down for an interview with Typeform, which is an unusual “read”, as it is dotted with audio playback of the voice actress’ voice, giving you the opportunity to compare her voice with that of Siri. You may recall that in 2013 The Verge had a video entitled “How Siri Found its Voice?” in which Allison Dufty is presented as the voice of Siri. As Bennett tells Typeform, she started recording a new project in July 2005. The project was about repeating nonsense phrases, such as “Malitia oi hallucinate, buckry ockra ooze; Cathexis fefatelly sexual ease stump”. But this project has changed her life. Bennett was recording for a text-to-speech company, ScanSoft. Although the job was just gibberish, “the complete opposite of creative”, as she put it, she signed a five-year contract. That’s how Bennett provided ScanSoft with all the sounds of the English language. ScanSoft merged with Nuance, which is behind the voice and speech recognition abilities of Siri. You can read or listen to the interview (or more likely Susan Bennett’s voice) on Typeform.